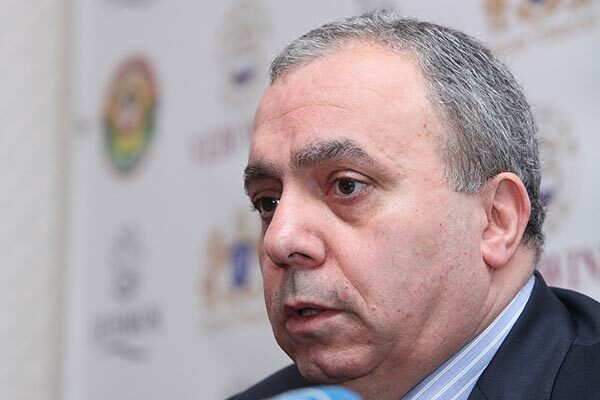 Armenia’s ex-prime minister Hrant Bagratyan believes the introduction of a “common clearing payment system” in the Customs Union and future Eurasian Economic Union zone will be a necessity and Yerevan will sooner or later have to switch to it as part of its integration with this trade bloc. Bagratyan left a comment on the matter on his Facebook account over the weekend reacting to media reports suggesting that Russia, Belarus and Kazakhstan, the current members of the Customs Union, consider introducing a single currency, to be called Altyn, in the future. “The new currency is likely to be introduced not later than in 2025, although international economic sanctions against Russia may cut the process to 3-5 years,” writes the Moskovsky Komsomolets newspaper, citing a source in the Eurasian Economic Commission. Armenia plans to join the Customs Union later this year and later also become one of the founding members of the Eurasian Economic Union. Official Yerevan has not yet commented on the possibility of switching to a single currency as part of the future union. Abstaining from his estimation of Armenia’s decision to join the Customs Union, Bagratyan still described the establishment of the clearing payment as a very important means in the territory of the trade bloc. He reminded that still in 1993 the government of Armenia suggested that the former USSR republics known as the Commonwealth of Independent States (CIS) should use ‘universal payment means’. “Dollars were in short supply then and trade between Commonwealth of Independent States countries had stopped. It should be noted that the draft decision on that was twice discussed at the meeting of the governments of CIS member states, it was approved, but its implementation failed because of frequent personnel changes in governments. That’s regrettable, because one could have saved tens of billions of dollars,” Bagratyan wrote. According to the latest media reports, however, a senior government official in Kazakhstan has said that his country will keep its national currency in the Eurasian Economic Union and that the use of single currency within the Union is not envisaged in the draft agreement on the establishment of the organization that is due to be signed next month.